San Jose State blogs are powered by WordPress and hosted by CampusPress (formerly known as Edublogs). SJSU blogs are on the Highwind theme. Your blog’s theme controls the visual layout and appearance of your blog. SJSU colors and fonts are applied to the Highwind theme with custom styling [CSS] that is applied through the Custom CSS plugin. See Customizing Your Blog under Blog Support and Resources for more information on customizing your blog. 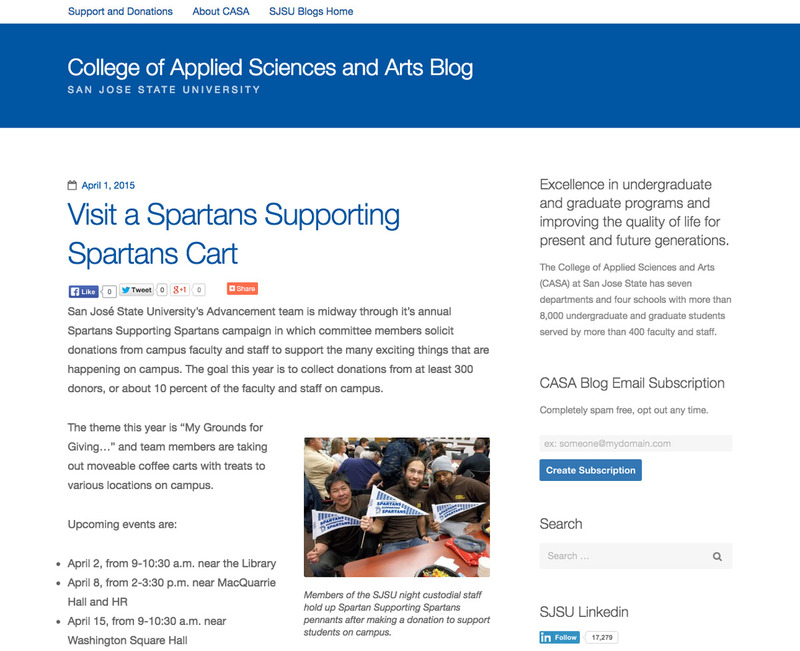 If you’re part of an academic or organizational unit at SJSU, you can request your own blog.